Attractive consumer offers and an aggressive sales push helped Maruti Suzuki India liquidate unsold stock and clock high double-digit growth in retail sales (to consumers) in December, said informed sources. The automobile maker retailed a total of 214,000 units in the domestic market during the month, up 15.6 per cent over a year before. This is in sharp contrast to its dispatches to dealers, of 121,479 units (including its light commercial vehicle, the Super Carry), an increase of only 1.8 per cent over a year. Automobile companies in India traditionally only report dispatches to dealers, counting these as sales. While it is not unusual for companies in the segment to announce attractive sale schemes in the last calendar month, to make way the new-year models, this December was exceptional. A higher cost of ownership — higher interest rates and more outgo on insurance premium —weighed on buyer sentiment and saddled dealerships across the country with high levels of unsold stock. As a result, all automobile makers tried to attract buyers. “I don’t remember the last time Maruti was so liberal with consumer offers. There was not a single model from the company that didn’t have an offer,” said a dealer with the company, on how all this had helped in clearing of stocks. 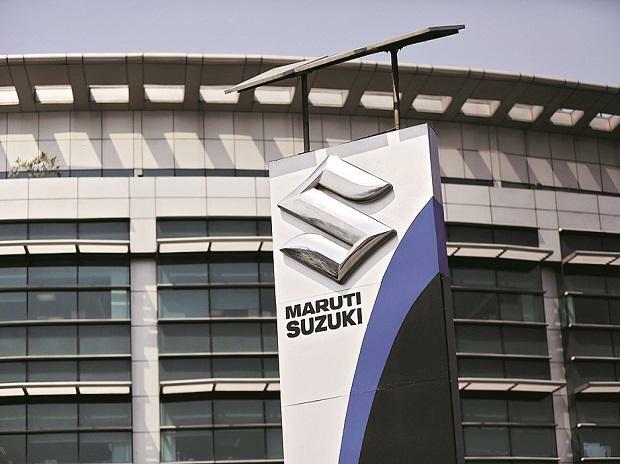 On an average, inventory at Maruti dealerships had reduced to two weeks in the beginning of this month, from a high of five weeks at the beginning of December, said a source. On an average, consumer offers on Maruti models in December were higher by almost Rs 5,000 as compared to the same month last year, said another dealer. Maruti also launched a scheme for employees at its dealerships and ancillary suppliers. Termed ‘Hum Saath Saath Hain’, those availing of it were entitled for an additional discount of Rs 5,000 to Rs 15,000. The scheme might not have made much difference by itself to overall sales but it did generate a lot of footfall into the showrooms, said another dealer. Some say growing competitive intensity and increasing pricing pressure will make it tough for the company to sustain its 50 per cent market share. “Maruti’s recent and near-term model line-up is mostly refreshes/facelifts and we believe the initial volume uptick, post inventory run-down, is not sustainable beyond three to four months,” wrote analysts Priya Ranjan, Apoorva Patil and Vikrant Gupta at Antique Broking. Coming launches by competitors in the hatchback and compact/SUV segments is expected to restrict the company’s volume growth in its core segments. Although MSI is looking to enter the premium SUV market in the near future, the segment is already well contested, with strong brands from Toyota, Hyundai and Jeep, along with the coming Tata Harrier, among others, they wrote. “With this backdrop, we expect Maruti’s market share to drop to the mid-40 per cent range in the next two to three years,” they say.